We keep hearing about the skyrocketing house prices in Auckland, with people turning to pint-sized apartments in order to live in a central location. But our population growth is putting pressure on commercial property too. We've all seen those tiny shops and semi-permanent carts around town, and it seems that the creative uses of retail space have been taken to new heights recently. Kebabs and "sensational chicken" being sold from a window of a convenience store. Not only are places opening where there has previously been little foot traffic (Little and Friday's Tuck Shop and the Scratch Bakers HQ are examples of this), but they are popping up where you would never have expected to find a store at all, like Elsie's spot under the stairs near Myers Park. Elsie is tucked away under the stairs. 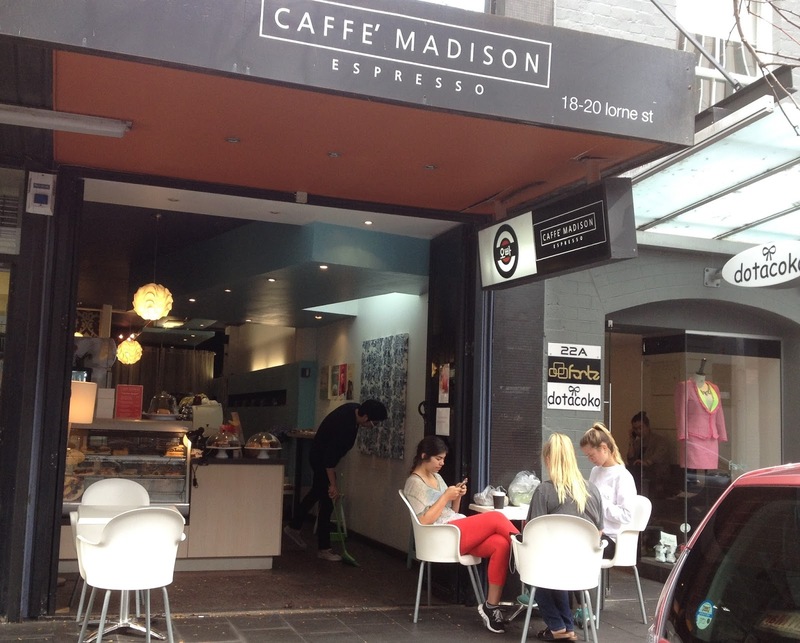 The latest phenomenon that has intrigued me is the concept of stores co-sharing a space. I don't mean businesses diversifying their offerings (like Barkers having an espresso bar in their menswear shop), or even communal areas being used by multiple operators (as in food courts). Rather, I have started seeing stores take turns using the same facilities in a kind of time-sharing system. 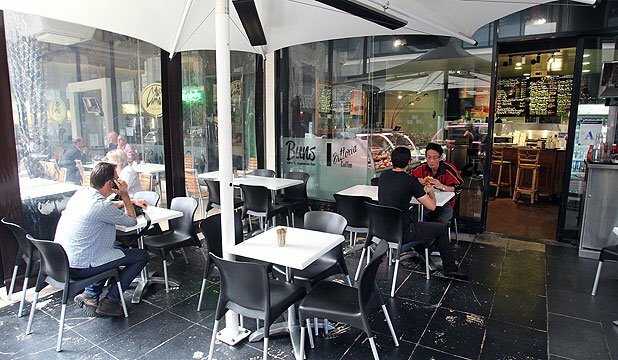 To some degree, this was already happening at popular eateries, where tables have been known to spill into neighbouring businesses at night, when the space would otherwise have been unused. Having dinner inside a hair salon. 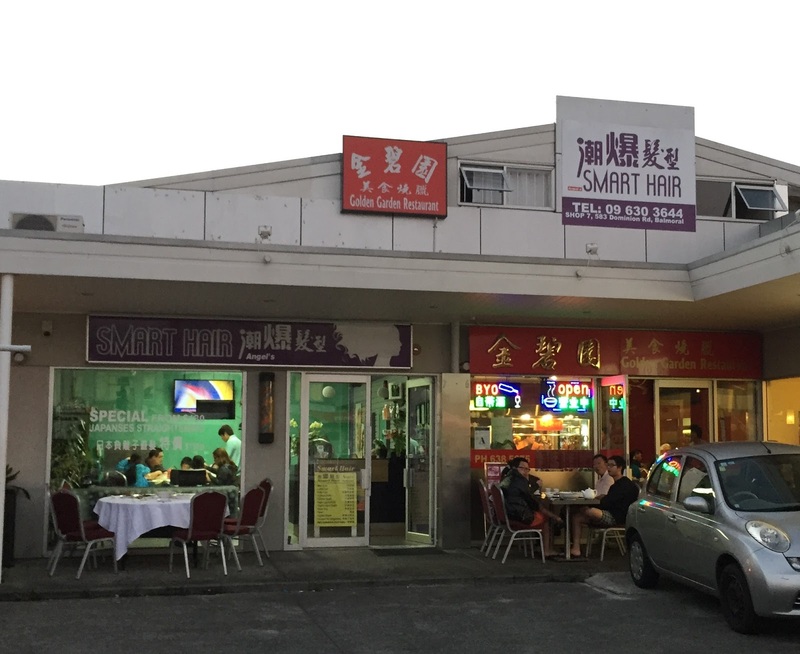 Here are three eateries I've come across, which you would not have known existed at all, unless you turned up at night. O Bar has been around for years, but during the daytime, you just see a cafe from the street. The Korean bar used to be easier to find at night, because they would hide the cafe counter behind black partitions, forming a corridor leading to the covered courtyard area of the nocturnal drinking hole. O Bar entrance appears at night. Now, however, they have started operating the cafe at night too, so you kind of have to know that you can walk through it for fried chicken, kimchi pancakes and more. O Bar can be found out the back at night. You might see the One Shot symbol hanging over the footpath outside the takeaway part of Kushi on Durham Street West, but you can easily be forgiven for thinking that someone had just forgotten to update their signage. 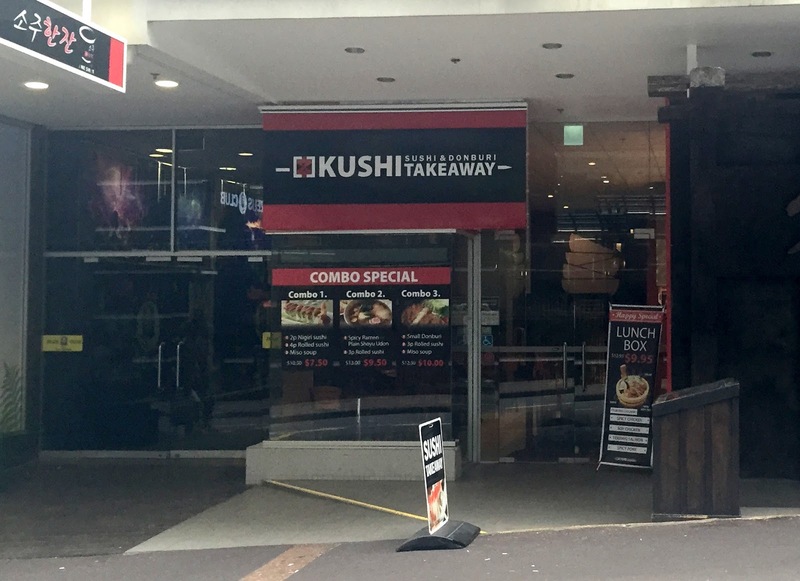 At night, however, the Kushi shopfront is covered by what looks like roller blinds, printed with the One Shot name and Korean cuisine menu, offering a number of different dishes, from sashimi to Korean pancakes to popcorn chicken. Night time signage on display. According to their website, Bien has six different locations around Auckland. I can tell you that there is at least one additional one, though it is not permanent. Situated where the Buns Cafe is on High Street, there is no indication that it exists at all during daylight hours. Photo from the Buns Facebook page. 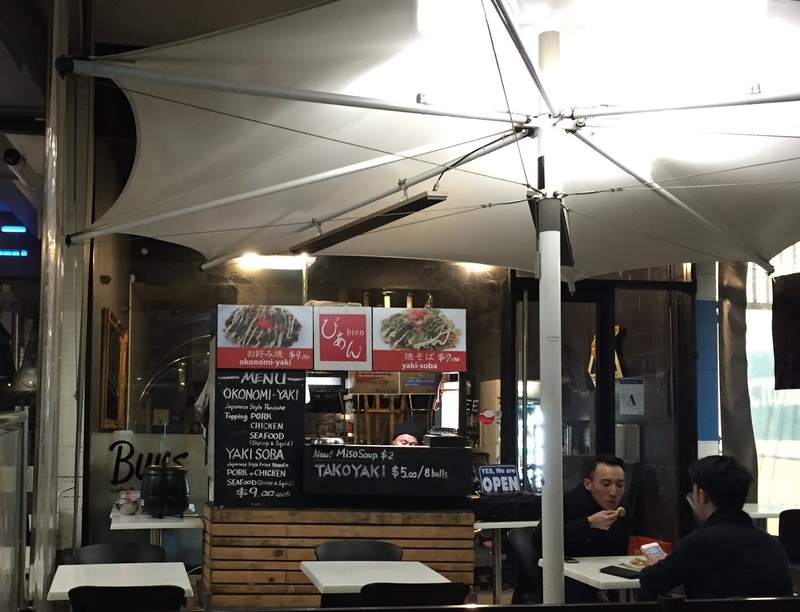 Swing by at night, however, and you will find a little stand selling Japanese street food in the cafe courtyard: okonomiyaki, yakisoba and takoyaki. Bien street stall at night. Have you seen any other examples of eateries that only pop up at night, on a daily basis? What other hidden gems have you come across? It's exciting that more and more of these co-sharing stores are popping up around Auckland. Love the idea, thanks for introducing these. It's fascinating, isn't it? I wonder if it is more of a Korean thing, since they seem to be particularly comfortable with the idea. I imagine this sort of thing must happen in places like Sydney too, though?